Take Me Out To The Ballgame (As Long As The Angels Aren’t Playing) The skies are blue, the chill of winter is quickly disappearing and there’s new grass on the field. That can only mean one thing; Baseball is back! The annual rites of spring began last week as the first games of the 2019 baseball season were played. Here in LA, just like in the Charles Dicken’s novel, there’s a “Tale Of Two Cities”. When it comes to baseball in Southern California, there’s the Dodgers and that other team that plays somewhere near Disneyland. The Anaheim Angels of Los Angeles or is it the Los Angeles Angels of Anaheim or wait, wasn’t it the Los Angeles Angels, well, whatever their name is this season, the Angels are a lot like late actor, Patrick Swayze’s twin brother, Don Swayze. 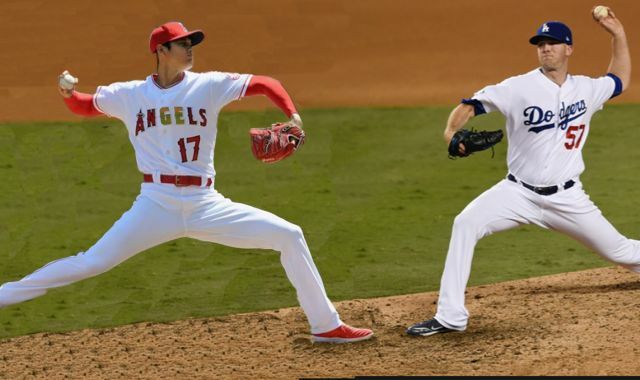 They’re very similar but just a little bit off, when compared to the Dodgers. In Los Angeles, the Dodgers are kings, except at the Staples Center, during hockey season, where the Los Angeles Kings are king. It’s in their name. The Dodgers are the beloved baseball franchise who broke the hearts of Brooklyn fans in 1958, when they came out west, so that they could break the hearts of Angelinos every October. The Angels, in some form or other, have been a SoCal resident since 1903, when a minor league team named the Angels began playing baseball in Los Angeles’ Pacific Coast League. They became a major league team in 1961, although that fact might escape most fans of the blue and white, who still disregard their American League neighbors. With both teams enjoying such long histories in the Southern California area, why is it that the Dodgers are so beloved and the Angels… not so much? The measure of success for any sports franchise is, well, success. In Baseball, the ultimate success is winning the World Series or getting a Bryce Harper sized contract. As far as World Series go, in their 60 years in LA, the Dodgers have been to 9 and won 5. Up in Anaheim, the Angels, in their 57 seasons as a major league team, have only managed 1 World Series appearance in 2002, which lead to their one and only championship. Championships aren’t everything, at least that’s what teams who never win a championship say each year. Maybe the more important metric is how well a team does during the regular season. With that, the Dodgers once again come out ahead by having 46 winning seasons in the 60 they have played in LA, while the Angels have amassed 25 winning seasons since 1961. To be fair, a lot of those early losing seasons came early on when the Angels were an expansion team, where as the Dodgers were still the Dodgers of old when they got off the plane from Brooklyn, bringing legendary players like Jackie Robinson, Duke Snyder, Pee Wee Reece and Roy Campanella to the west coast. In this millennium, the teams are a lot closer, with the Dodgers having winning records in 17 of 19 seasons, while the Angels won in 12 of 19, but also won the only SoCal World Series of the 2000s. If on the field success was the only variable needed to explain why the Dodgers are so much more beloved than the Angeles, then this would be an open and shut case. Simply put, the Dodgers are more successful than the Angels. That being said, if success on the field decides why a team is loved or not loved, then tell me why does anyone still go to Rangers, Brewers, Mariners and Padres games considering that none of those teams have ever won a Worlds Series and yet, they all have the kind of fan bases that the Angels would love to have… well, maybe not the Padres. The others all pack in fans, night after night, with the hope that this year, whatever year that is, will be the one. Maybe it comes down to stadiums. Both teams have been in their respective home parks for the better part of the last 50+ years, with the Dodgers moving into Chavez Ravine in 1962 and the Angels at Angel Stadium in 1965. Since that time, there have been improvements made to both stadiums. The Angels got a new exterior façade, changed the slope of the upper deck seating and bleachers and built the fire and firework shooting rock formation beyond the outfield. The Dodgers biggest upgrade is probably the bobblehead statue that greets all of the upper deck ticket holders. That’s about it. Dodger Stadium looks essentially the same way it did 50 years ago, which might not be a bad thing, since it looked pretty good 50 years ago. With that in mind, again, Dodger Stadium comes out ahead. So many of today’s new stadiums are being built to reflect what Walter O’Malley got right back in 1962. 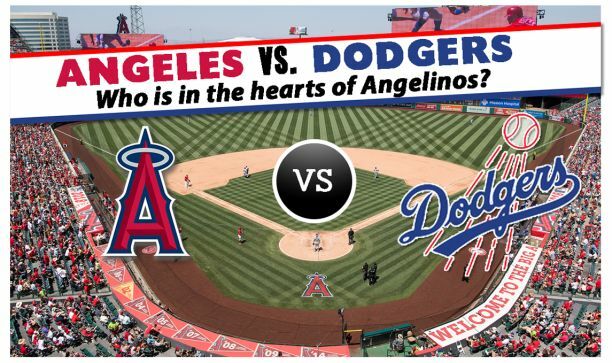 Clearly, with winning percentages and a better ballpark being in the Dodgers favor, it seems pretty clear why they are so much more beloved, but it still doesn’t tell you why the Angels are treated with such indifference. That more than likely comes down to location. Although we weighed the two teams’ stadiums, where they are located probably tells the story of both franchises. The Angels call Anaheim home. For most people that means very little. For Southern Californians, it tells you everything you need to know. Anaheim is the gateway to Orange County. California.